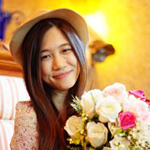 These classy earrings are from jewelry artisan Phat Tangmo. 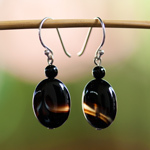 For this design, she threads black agate on stainless steel strands and hangs the pair from sterling silver hooks. 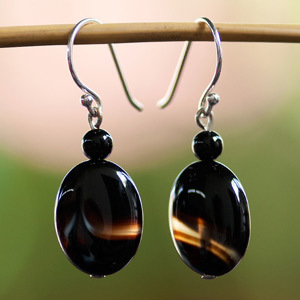 Materials: Black onyx and sterling silver (.925).